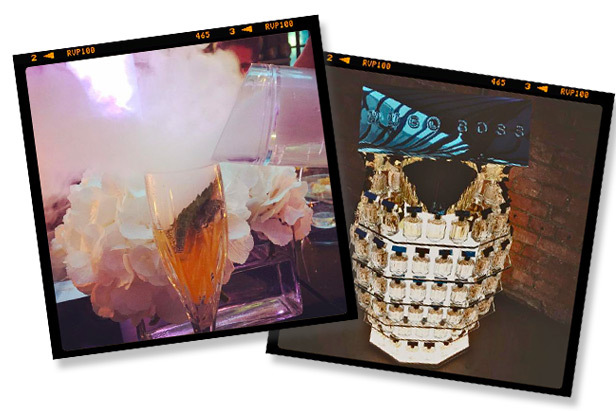 Last week we were lucky enough to be invited to a multisensory dining experience for the launch of the new fragrance by Hugo Boss ‘ The Scent for Her. 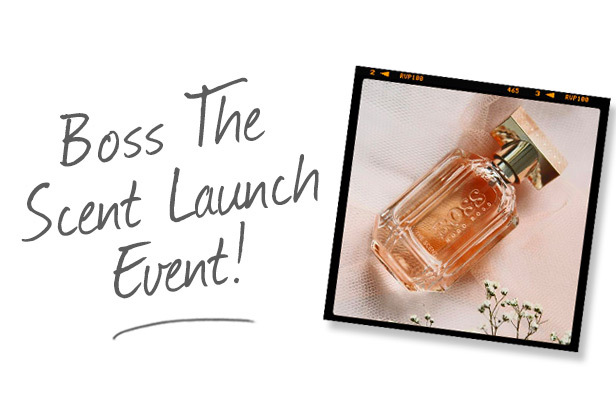 The new perfume launched on the 17th August and just by looking at the packaging and the bottle you know it’s going to be a sophisticated scent. The inspiration for the fragrance comes from the male version ‘Boss The Scent’, a captivating take on seduction from the male perspective. Now, the creative director for Hugo Boss, Jason Wu, has realised the Boss woman in Boss The Scent for Her. The Boss woman is powerful and at the same time uniquely feminine. Inspiration for the bottle has been taken from the iconic Boss cufflink ‘ and the idea that, just with a twist of the lock, the worlds of male and female could merge easily into one. ‘There’s something incredibly powerful and innately seductive about a woman dressed in men’s tailoring, which only enhances her femininity’ ‘ Jason Wu. Throughout our evening at The Violin Factory we were walked through all the different aspects of the fragrance, encouraged to use all the senses to truly appreciate the notes. Each course reflected the different elements of Boss The Scent for Her and how the story of addiction and seduction evolves. The top notes of honeyed peach and freesia are the main ingredients used to attract, the head turning combination engages and intrigues with an elegant, yet light and delicate appeal. Our first course was a peach and ricotta tortellini served with a peach Bellini, the sweetness of the fruit was beautifully delicate and worked perfectly with the softness of the ricotta. The heart notes of oriental flower Osmanthus start to reveal themselves, the initial light and delicate allure evolves into a darker, heady quality. This is the catalyst which drives the innately seductive power of the scent. Our main course included a beautifully flavoured quinoa salad, taking on the oriental flavours to complement a monk fish fillet. Finally the base notes unleash an irresistible base note of roasted cocoa and Tonka bean that offers an addictive boost, arousing the senses further. Our final course was a creamy vanilla and Tonka bean dessert that was modelled on the shape of the Boss woman’s lips. To go along with this course we were given an espresso martini to really seduce the senses and succumb to the power of Boss The Scent for Her. Throughout the evening we were taken on a journey through all the notes of the fragrance, not only with what we ate but also the smells of the food and the different textures they provided. The scent has many stand-out elements that reflect different aspects of a woman’s personality, leaving whoever you come into contact with seduced by the scent and wanting more. Boss The Scent for Her is a fragrance you will be able to turn to over and over again with its sophisticated and feminine notes. Will this become your new signature scent? It’s definitely ours! Thank you to all the team at Hugo Boss for inviting us to an unforgettable evening.